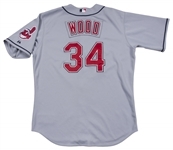 Pitcher Kerry Wood wore this Cleveland Indians road jersey during the 2010 MLB season. Wood, a former Chicago Cub, played the first part of the season with the Indians before joining the New York Yankees at the trade deadline. 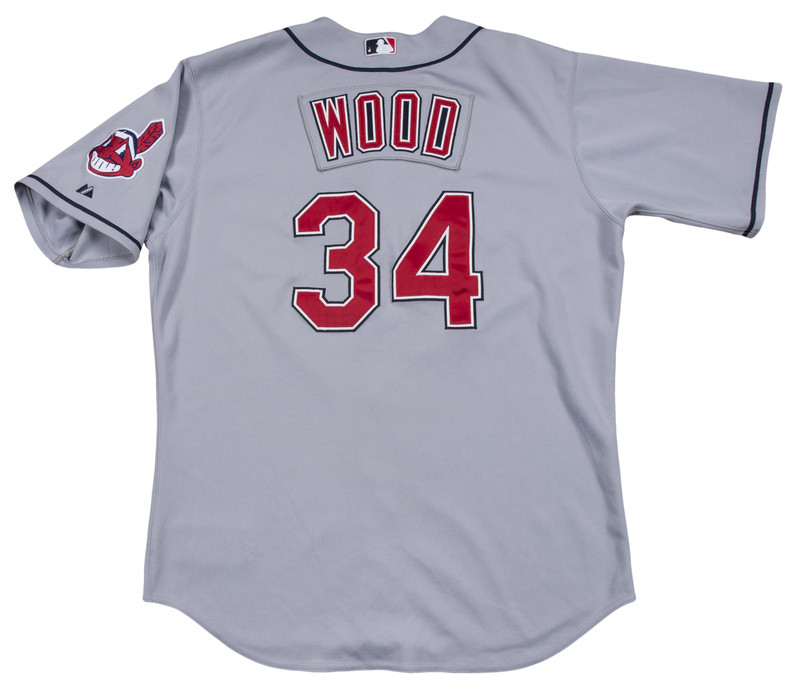 Wood pitched in 23 games for the Indians, recording eight saves and finishing the year with a 3.13 ERA. 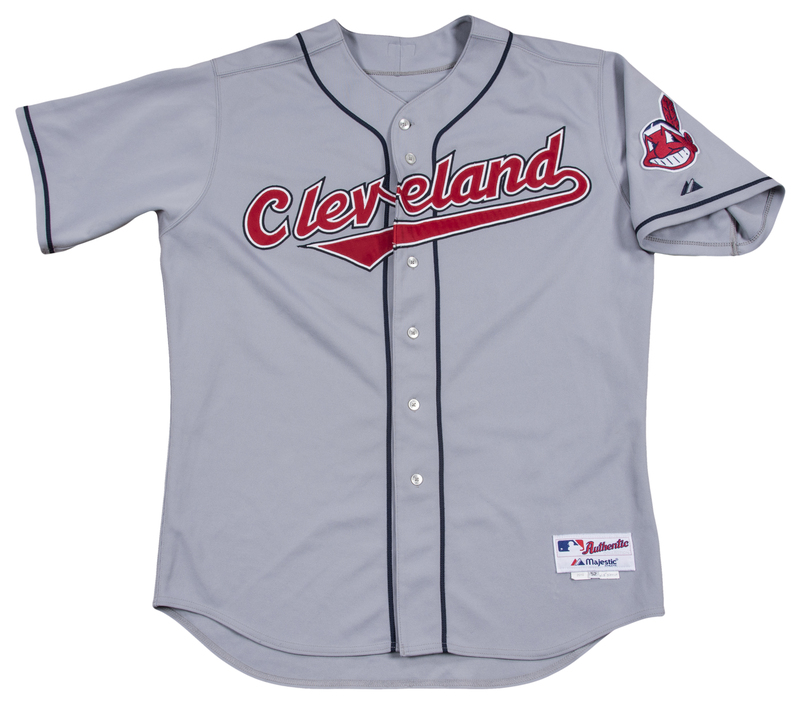 This offered jersey has “Cleveland” sewn across the chest in red, white, and navy tackle twill. 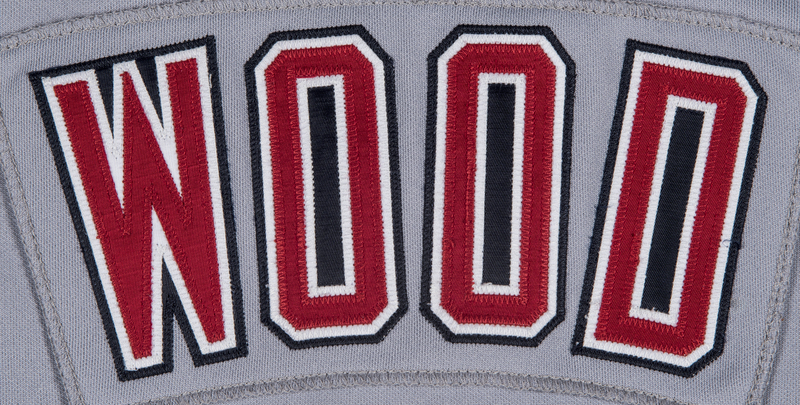 “WOOD” is sewn across the back shoulders in red, white, and navy tackle twill over a matching gray nameplate. 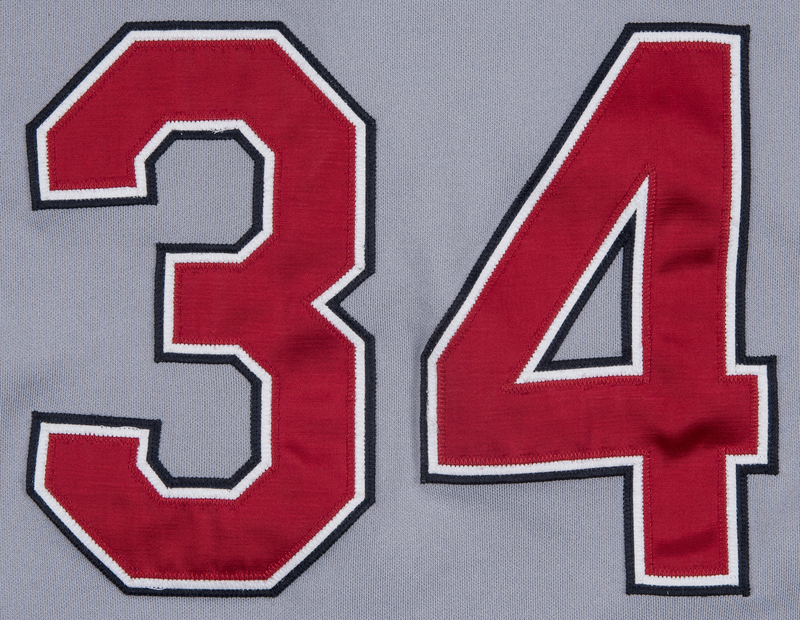 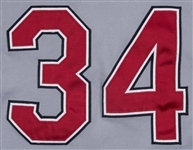 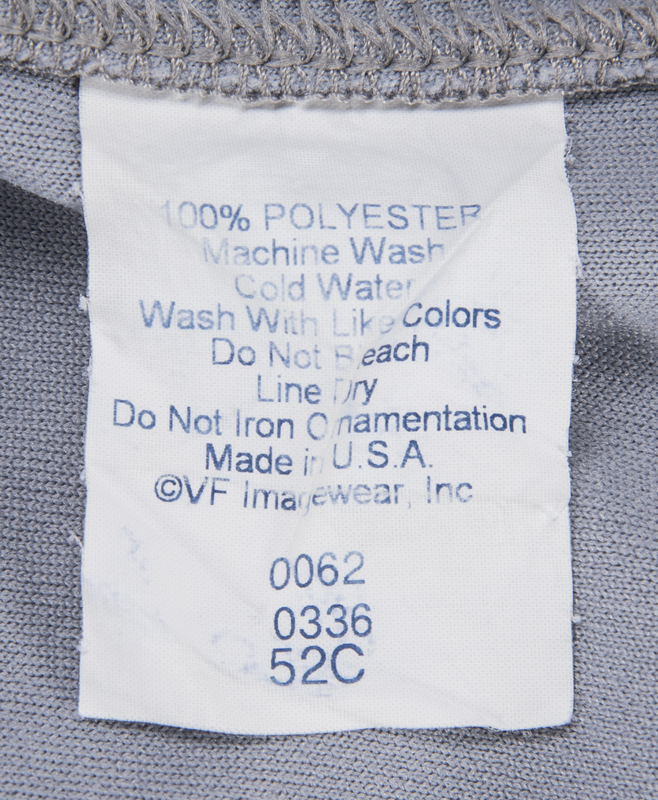 Wood’s number “34” is sewn on the back in red, white, and navy tackle twill. 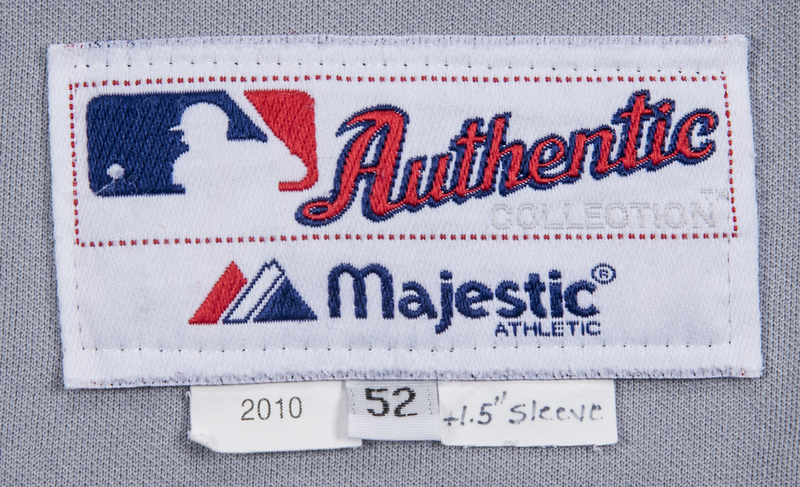 A Chief Wahoo logo patch is sewn on the left sleeve above a Majestic logo. 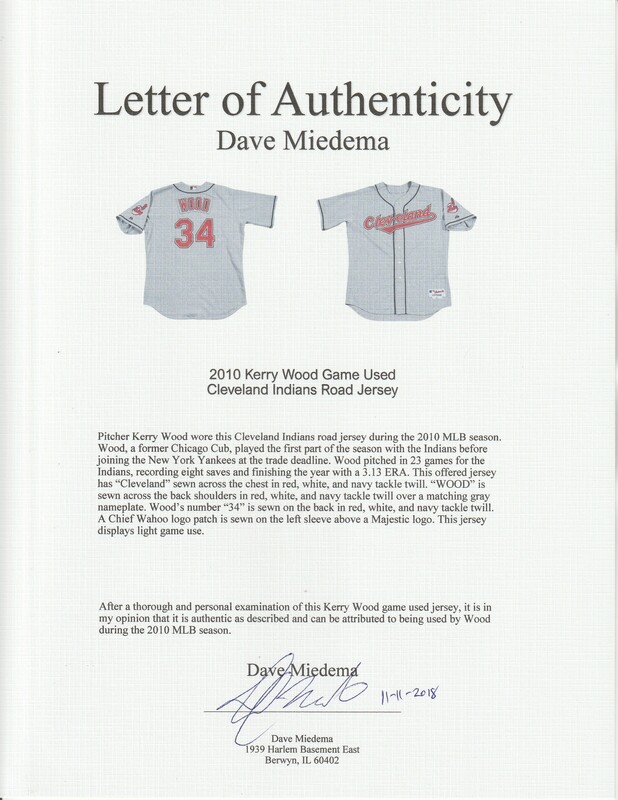 This jersey displays light game use and comes with a LOA from noted game used jersey expert Dave Miedema.